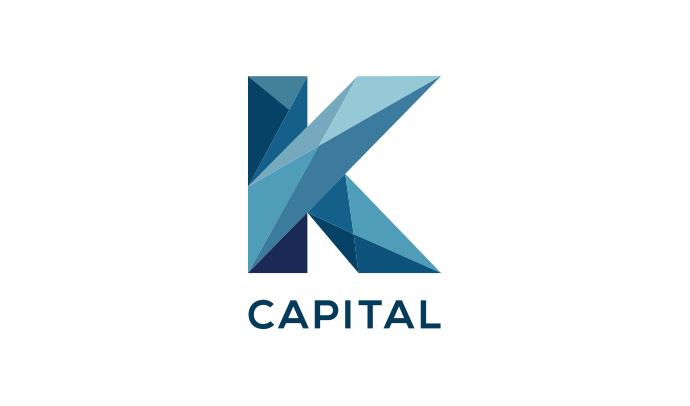 K Capital is a private equity group with over $600M in revenue including investments in real estate, new concepts, and growth. 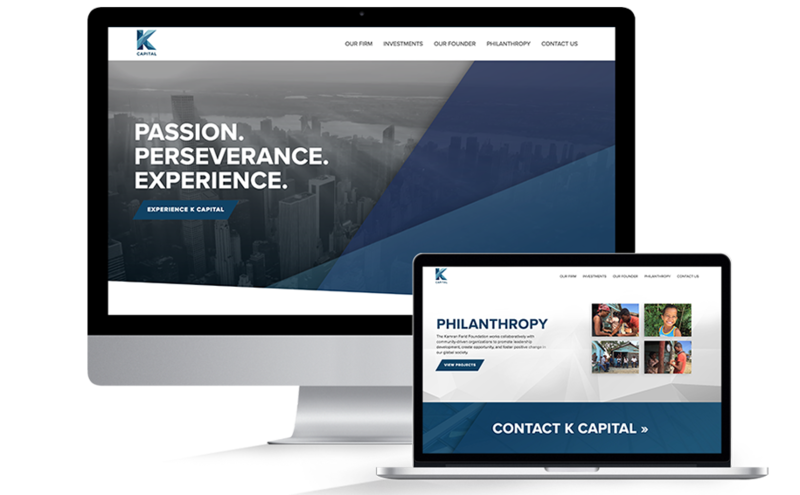 Our agency partnered with K Capital for their private equity marketing needs to create a new logo, brand standards guide, and website to promote this expanding investment firm. 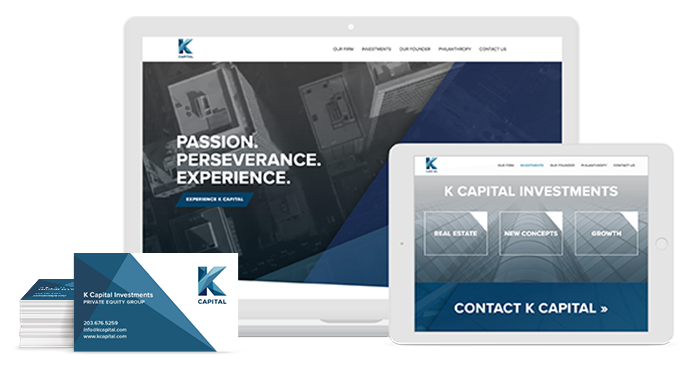 The updated look and new digital presence has given K Capital the edge they need to stand apart from the competition. The new investment logo design features a bold letterform that embodies a geometric pattern. 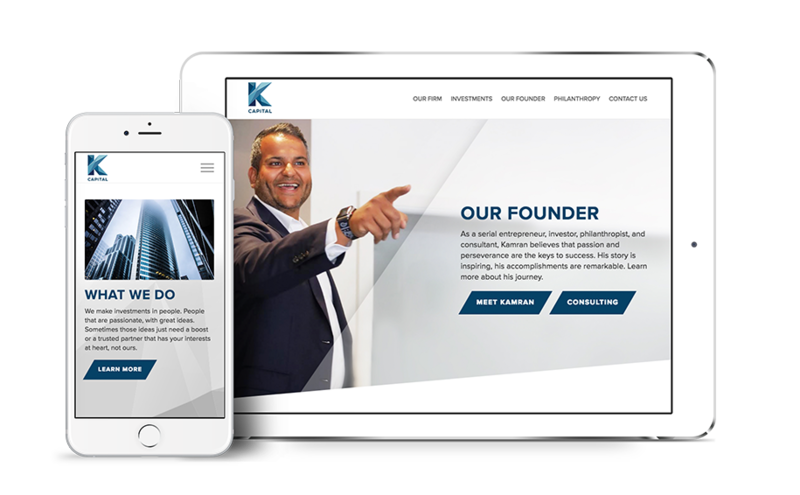 The multiple blue triangular shapes that make up the letter K communicates a multi-faceted approach to K Capital’s investment strategies and the diversity of their clientele. The K Capital Brand Standards guide outlines the anatomy of the logo and it’s proper usage. Colors, typefaces, and supporting brand elements are all considered. 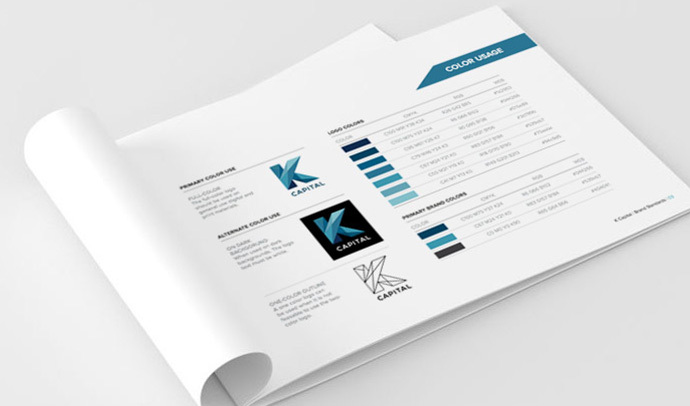 The Brand Standards guide acts as a manual for anyone working with the K Capital brand. Pulling elements of the logo into the design of the website was essential for this project. The incorporation of geometric patterns, custom call-to-action’s and unique image treatments give this website a cohesive look and feel. Parallaxing sections, video background integration and a fully responsive design make this website stand apart from the competition.